Passed away at home on Thursday February 28, 2019 at the age of 65. Daughter of George (deceased) and Kathleen Rollings. Mother of Lisa (Donald) Conant, David (Amanda) Jones and Daniel (Emily) Jones. Grandmother of Camren, Grace, Wyatt, Alexis, Olivia and Ira. Step-grandmother of Logan. 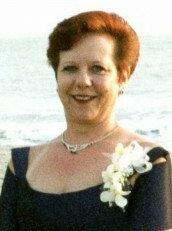 Sister of Richard, Bonnie and Linda (deceased). Cremation has taken place. A Gathering of Friends will take place in the Canon Nind Hall of St. George’s Anglican Church, 10792 County Rd. 2 in Grafton on Saturday, March 16, 2019 from 1 to 3 pm. Condolences received at www.MacCoubrey.com.